Is the existence of other cryptocurrencies a good or bad thing? It depends on who you ask if you go by some of the discussions on popular Bitcoin and cryptocurrency forums. Some cryptocurrency insiders arbitrarily dismiss all cryptocurrencies besides Bitcoin – called altcoins – as scams. To be fair, they may have been burned a few times, but this hasn’t prevented others from making investments in major altcoins like DASH, Litecoin, and even the joke cryptocurrency Dogecoin. Those who have gotten into altcoins say that the Bitcoin community is showing cracks in it collective armor and it’s good to have alternatives. Sometimes the pro-altcoin crowd will get lambasted for acknowledging that altcoins exist. However, this doesn’t change the fact that a handful of up-and-coming cryptocurrencies like DASH have features that could make them attractive to the future of economics. Lumping all altcoins into the same package and calling them all scamcoins is a mistake that could hurt Bitcoin in the long run because this ignores the competition posed by altcoin teams who are really serious about making their respective altcoins serious contenders if not “Bitcoin-killers” in the competition for cryptocurrency market share. If it isn’t obvious that the economy is becoming increasingly global, just look at the Internet. Blog owners who live in the UK and don’t have the time to keep their blogs updated can order article writing services on sites like Freelancer and Fiverr with the option of making those articles SEO-optimized. The freelancers on these sites might live in Canada, the United States of America, Europe, India or Japan. The primary impact of the global economy can and should include the ability for individuals to buy and sell directly to and from one another in the same manner that freelancers will ideally work with their clients no matter where they live. Naturally, in this global economy, buyers and sellers of any product or service will want a way to pay and get paid without having to worry about unfavorable exchange rates or high bank fees. 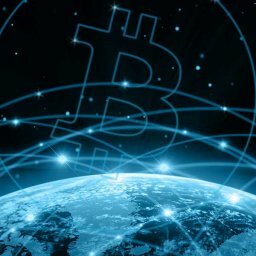 Bitcoin is the natural pick for participating in large transactions, especially when those transactions have to travel across international borders. As a legal disclaimer, we don’t advocate using Bitcoin for things like international money laundering or getting around regulations that impact the ability to move money around even if it is annoying to get your Paypal account frozen for suspicious activity when all you did was pay cash for a car. However, when TransferWise blisters the Canadian financial industry for making $1 billion in profit by misleading customer about the fees charged for international payments, it’s not too tough to figure out why cryptocurrencies might make an attractive alternative to the outdated and unethical practices of the banking industry. So it’s not much of a surprise that Bitcoin is popular with people who want to move money without attracting a lot of attention or getting cheated by third parties that were never designed for a global economy and are easily spooked by anything that might be a sign of illegal activity even when it’s a perfectly legitimate transaction. If the mainstream financial industry is inefficient, costly and unsuitable for a global economy, how much worse would it be centuries for now, when an interplanetary economy is becoming a serious issue? The problem can be sidelined now by making all the right decisions, including implementing new features already found in up-and-coming altcoins and Blockchain apps that can streamline the process of participating in transactions. DASH’s Masternode system could, for instance, be used to ensure that the cryptocurrency system has a proper governance system and all colonies are regarded as equal from the perspective of the cryptocurrency’s decentralized network regardless of each colony’s size. Each colony has a Masternode and, thus, gets both an equal vote and equal responsibility for maintaining the network for the cryptocurrency or Blockchain app involved. It may be centuries before Earth and Mars become stops on an interplanetary Silk Road and get regular visits from trading caravans that loop endlessly on the Aldrin Cycler route. By then, no one is going to care about ancient debates on whether altcoins like DASH were scams. At worst, colonies will pick and choose which altcoins and Blockchain apps have the most useful features for interplanetary trade and can be rebooted with upgrades. Can Altcoins Do What Bitcoin Can’t? What if you just want to pay for a cup of coffee? That suits, but the current state of Bitcoin may also be unattractive for small purchases because transaction fees have been prohibitively large for microtransactions lately. Think of it this way: You could use a credit card to buy a couple of jalapeño peppers that cost thirty cents, but the grocery store doesn’t like it very much because it’s losing money on that transaction. The credit card you use is going to charge the retailer more than the jalapeño peppers are worth in fees. If you had to pay those fees, you’d probably have to pay more than double what the peppers are worth, so you could do the grocery store a favor by paying with cash. Some retailers will tack on an extra charge or require a minimum purchase for credit card transactions for exactly this reason. Bitcoin is getting to be the same way because the cost of each transaction is rising. That’s where altcoins can come in. Most altcoins don’t suffer from a severe backlog of unprocessed transactions, have low fees, and can work for cases where the Bitcoin network might refuse to confirm a transaction. Keep in mind that some Bitcoin users have recently noticed that as many as 60,000 transactions are hanging in limbo and could take days to confirm. That’s a lot of cups of coffee that are going to get cold while the café employees and customers wait for the transaction to go through. To get around this problem, you just have to either buy a Dunkin Donuts gift card with Litecoin, or find a café that’s okay with accepting DASH. Instead of seeing major altcoins as useless, they could be seen as complements to Bitcoin that can be Shapeshifted as needed to serve their purposes. This will be especially true in a “bigger than global” economy in which smart space colonists won’t be making decisions based on what everybody else is doing. Most colonies will want currencies and apps with useful features, given the environment they’re living in, when they’ve developed to the point where members are participating in a complex economy and eventual trade between colonies. They want options that will work for their specific colony and, if meeting a colony’s needs means choosing a “stupid useless little currency” called Marscoin, that’s exactly what they’re going to do.